Following the Dukan diet and in need of some tasty recipes that stick within diet guidelines during each of the first three phases? You're in luck. Delicious and nutritious recipes matching approved Dukan diet food lists do exist, and work wonders when you're trying to shed pounds. You won't feel deprived when choosing the recipes below. This recipe is perfect for any Dukan Diet phase, even the "attack" weight-loss phase. Mix garlic, mustard, vinegar and herbs in small bowl. Place salmon in dish, and season with salt and pepper. 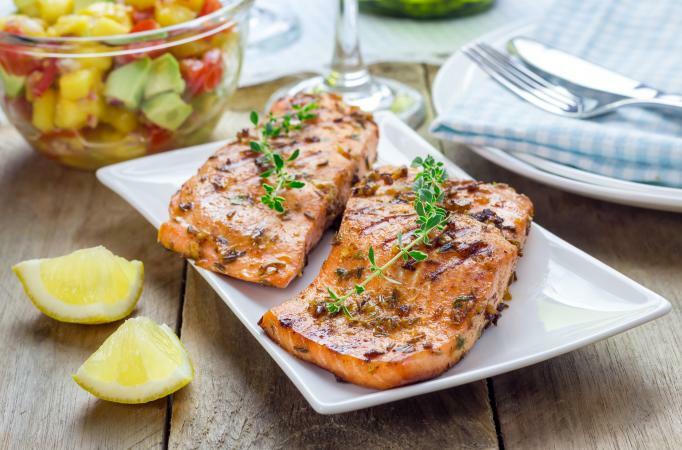 Cover salmon with mustard mixture. Bake in the oven at 425 degrees for 12 to 15 minutes. After you've completed the attack phase, begin adding a few nutritious veggies (and olive oil) into your meal plan. 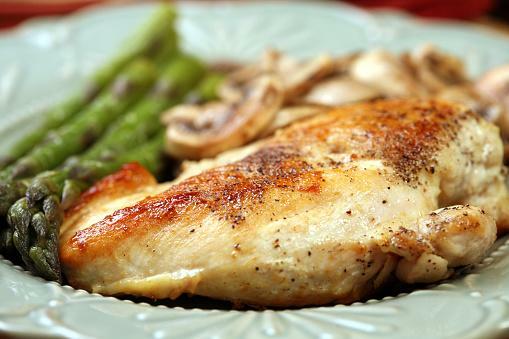 "Cruise" along with this delicious, protein- and fiber-rich chicken recipe. Cook mushrooms, onions, asparagus and oil in skillet over medium heat for about 10 minutes. Place the chicken breasts in dish and sprinkle lemon juice, salt, and pepper. Bake at 400 degrees for 30 to 45 minutes. 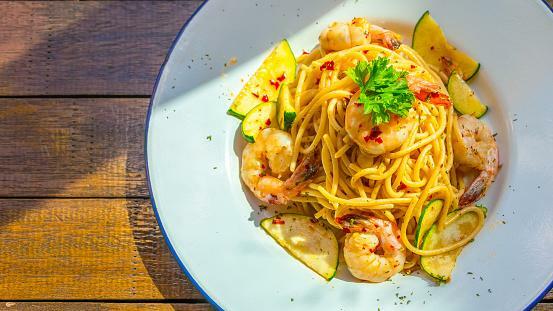 Satisfy your carb cravings during the consolidation phase with this delicious shrimp scampi recipe. Boil water and cook pasta according to instructions on the package. Sauté chicken broth, lemon juice, and garlic in a pan for about 1 minute. Add the other seasonings, zucchini, and shrimp. Cook the mixture for 5 to 10 minutes until the shrimp is thoroughly cooked. Add the pasta and cook for an additional 2 minutes. Just because you're dieting doesn't mean you have to sacrifice taste. That's why choosing these recipes is a perfect way to make your weight loss journey a success!